Workflow patterns provide good practices for modelers and a mechanism to check suitability of any workflow notation. There are many patterns available, but not all can be applied to any notation. 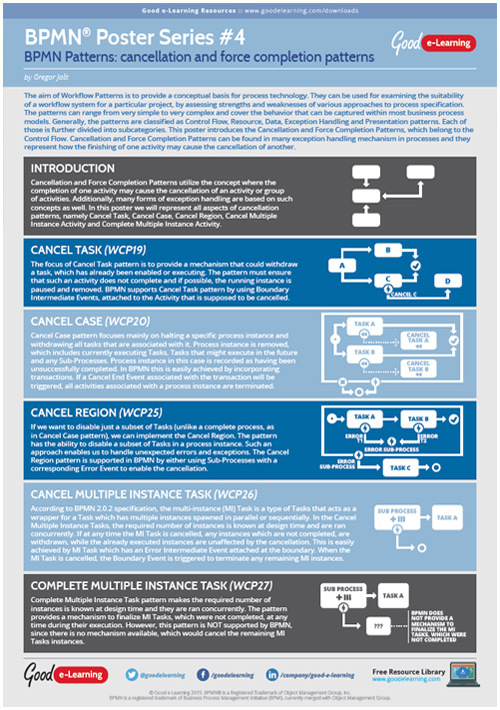 In this poster we will focus on patterns that enable cancellation and force completion.